I have a fix for the Thunderbolt GPSDO date error! The VK4GHZ Thunderbolt Display no longer uses the Year, Month and Day data fields sent from the Thunderbolt. These date fields are no longer translated correctly inside the Thunderbolt since it rolled over from July 29 to 00:00:00 July 30, 2017. This is often incorrectly reported as a 10-bit week number roll-over error, but it occurred when going from week # 935 to # 936. (Not from week # 1023 back to week 0). This firmware fix addresses the date translation error, and will also accommodate the next 1023 week rollover which will occur on 7-April-2019. The VK4GHZ Thunderbolt Display now does it’s own date translation using GPS Week number and Time of Week fields. Since that video was recorded, PDOP (Position Dilution Of Precision) and TDOP (Time Dilution Of Precision) have been added to page 5. PDOP is a figure of merit to indicate how precise your 3D reading is. The closer to 1.0, the better. Thunderbolt’s default PDOP switch threshold is 6. Above 6, it will switch from 3D to 2D mode. TDOP will be 1.000 (ideal) in Over Determined Clock mode. To accommodate all the firmware changes you should have a Thunderbolt Commander as a part of your system. The Commander sends ‘request packets’ to the Thunderbolt to set configuration, and change operating parameters. 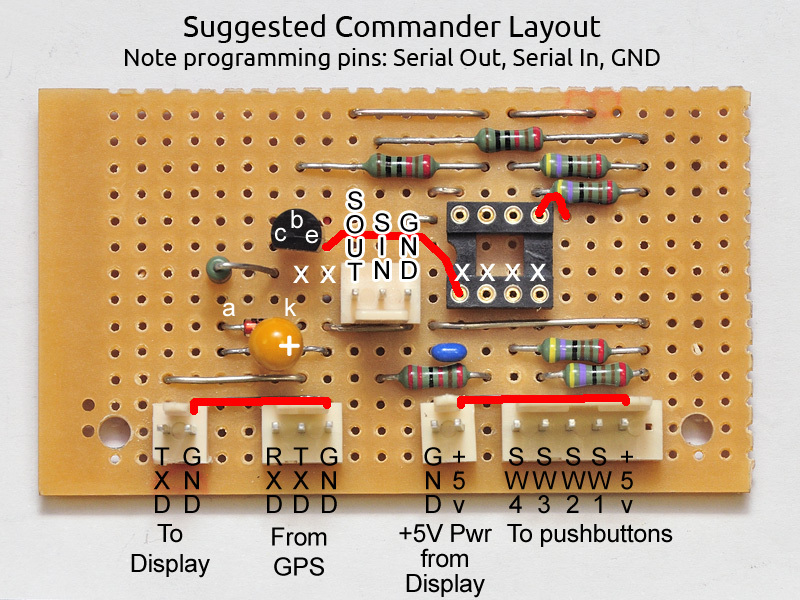 The microcontroller on the Commander board is a PICAXE 08M2. Previously, Lat/Lon originally comes from the same data packet where altitude is HAE. Height Above Ellipsoid is useless ! The new Lat/Lon comes from a different data packet where altitude is MSL (above Mean Sea Level). 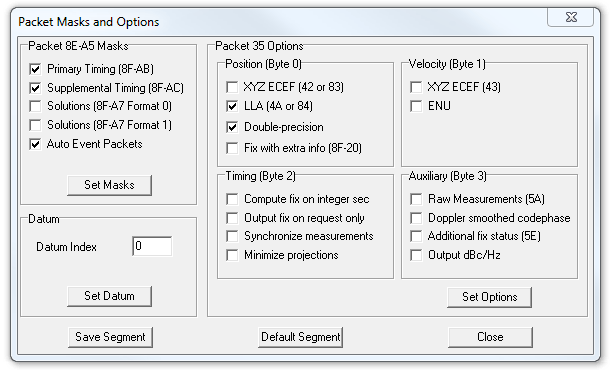 The new Commander firmware sends requests packet 0x35 for data packet 0x84 for Lat, Lon and Alt (MSL). If you have not built up a Thunderbolt Commander, consider doing so. It uses a PICAXE 08M2 and costs < $15 to build. Thunderbolt Commander construction details here. The microcontroller on the Display board is a PICAXE 28X2. This is the chip in the socket. 1) on-board, as there are programming pads you can temporarily solder to. 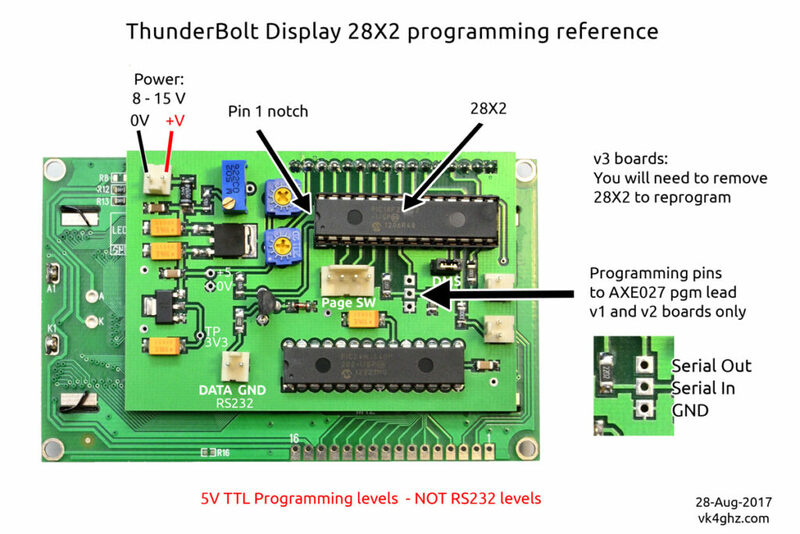 v3 (2013) boards do not have these pads, so you will need to remove the 28X2 and program it off-board. 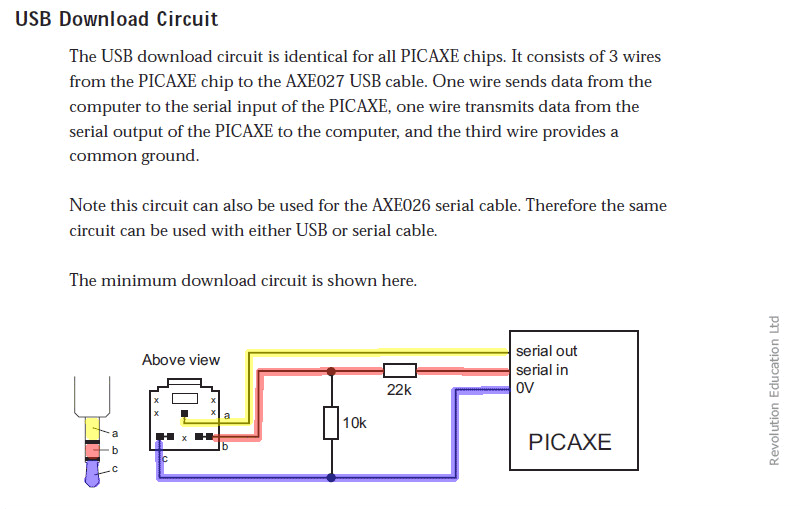 You may need to remove your Display board from its enclosure to access the PICAXE properly. • display board needs to be powered up whilst programming. To display the Thunderbolt’s internal firmware version, the Thunderbolt, Commander and Display all need to power up together. I cannot answer questions about other programming leads – use a proper AXE027 if in doubt. Note the 10k and 22k resistors are fitted to v1 and v2 Display boards. 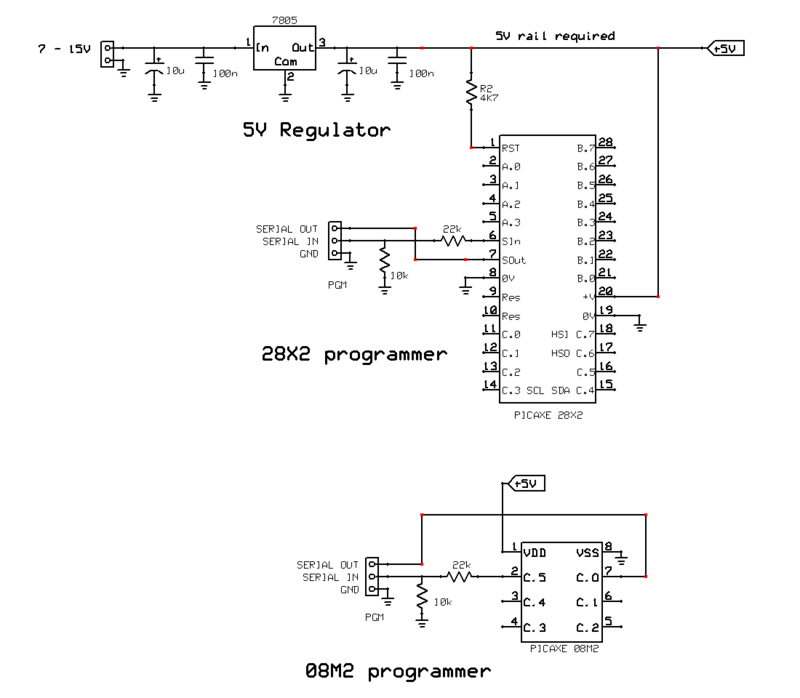 If you cannot set a PSU to 5.0V, use a standard 7805 type regulator circuit for a 5V rail. Aside from online sources, Altronics (Australian bricks ‘n mortar store) stock PICAXE. Note: Thunderbolt Commander firmware v1.2 sets this configuration up each time it powers up. Your Thunderbolt, Display and Commander all need to power up at the same time for correct sequencing. Sorry, I do not have time to respond to personal emails or PMs – too busy with work and renovating my home. All the information that exists is posted above. As I cannot offer a programming service via snail mail, please find a local that can assist you, should that be required. As people have varying and unproven degrees of required skill, you take this on at your own risk. You should not alter the code in any way to program the PICAXE slots. Please organise your own assistance, if you feel you do not have the skills required to complete this re-programming task, or to fix your own self-made problems.